Cheer up your reading book with all the colours of the rainbow. Who could resist a bookmark made from so many pretty ribbons? 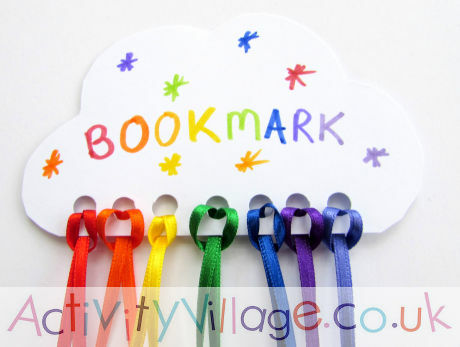 Our rainbow bookmark craft would make a good gift for the kids to make for mums and grannies, too. 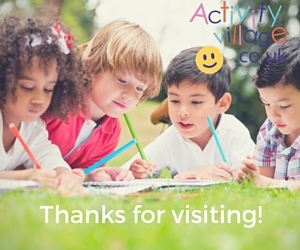 Cut a cloud shape (with a flat bottom to the cloud) from card. Punch 7 holes along the bottom of the cloud. Decorate the cloud with the pens. Cut lengths of each colour of ribbon and fold in half to make a loop. Thread the ends of the ribbon through a hole in the card and then back through the loop in the ribbon to hold in place. 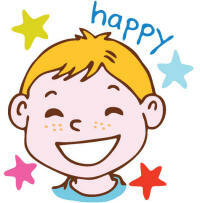 Repeat until you have ribbon for each colour of the rainbow. Is the sky grey outside? 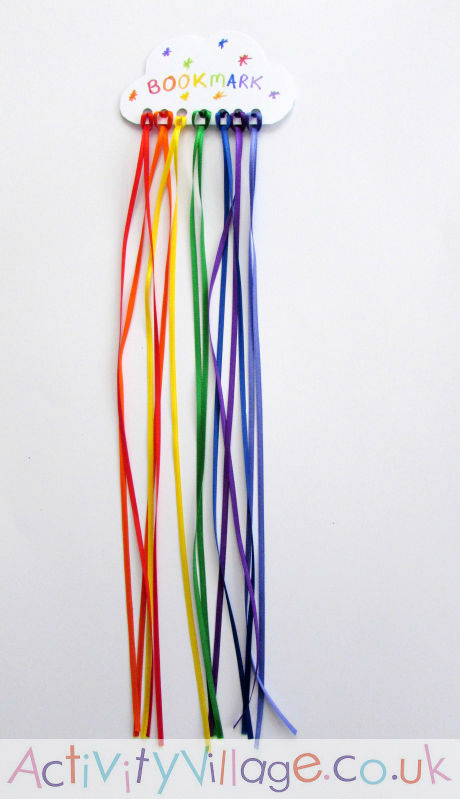 Get the paints out, put your aprons on and paint yourselves a rainbow mobile to hang in the window! Although simple to do, the textural nature of our rainbow wool collage made it popular with our testers, who enjoyed sticking the multi-coloured strands of wool in place. Hang this lovely rainbow bag tag from a satchel - or anywhere in a child's bedroom or playroom - and everyone's day will be brightened. It's a super starter sewing project for children.